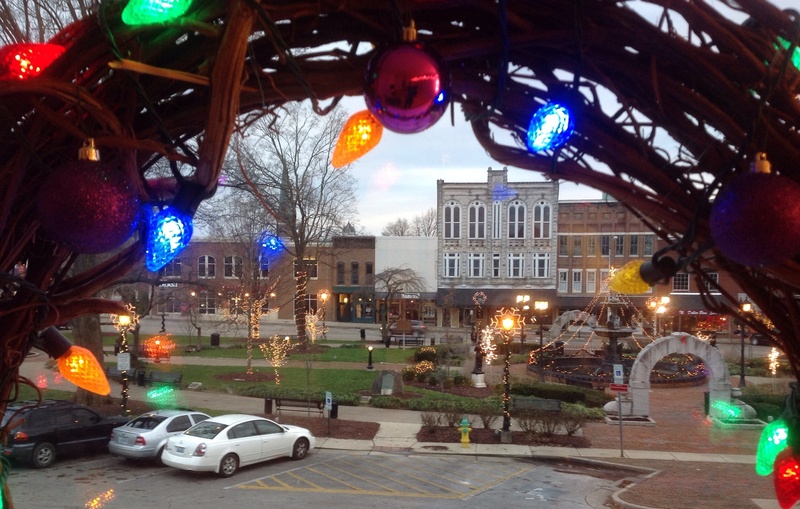 Are you spending time in Bowling Green during the week leading up to Christmas, either as a resident or a guest? Then we invite you to join us for one of our 11 yoga classes! If you have questions about our class styles, please first see our Class Descriptions page and then drop us an email (4yoga.me@gmail.com) if we can help match a class to your needs. Monday, 12/18: 9:30 a.m. Basics with Beshka; 5:30 p.m. Flow with Chie. Tuesday, 12/19: 9:30 a.m. Gentle with Angie. Wednesday, 12/20: 9:30 a.m. Basics with Nicole; 5:30 p.m. Flow with Frances. Thursday, 12/21: 9:30 a.m. Gentle with Frances; 4 p.m. Basics with Cassandra; 7 p.m. Restorative class Angie. Friday, 12/22: 9:30 a.m. Gentle with Nicole; 5:30 p.m. Yin with Chie. Saturday, 12/23: 9 a.m. Basics with Cassandra. For those of you visiting our studio for the first time, all our studio classes are drop-in, although we do encourage new students to arrive about 15 minutes before class begins. Also, you are welcome to borrow mats and other props at no additional charge. In keeping with our mission as a community studio, our class fee is $5/class, payable by cash or check. Whether or not we see each other at the studio this holiday season, we hope that you are able to celebrate in all your favorite ways! This entry was posted in holiday, schedule and tagged Christmas, winter. Bookmark the permalink.